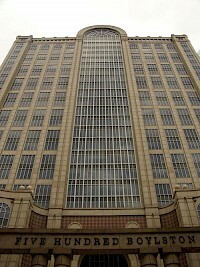 500 Boylston Street 1989 Post-Modern building located in the Back Bay section of Boston and part of the city's High Spine. 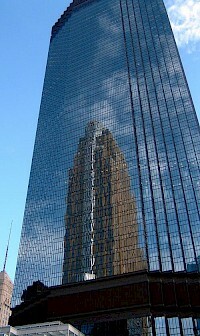 It sits next to the landmark Trinity Church, Boston. 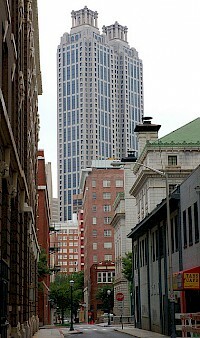 It dominates the western half of the city block bounded by Boylston, Clarendon and Berkeley streets and St. James Avenue. It was designed by John Burgee Architects with Philip Johnson, with structural engineering by LeMessurier Consultants and MEP/FP engineering by Cosentini Associates, Inc. 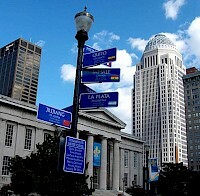 The AEGON Center is a skyscraper in Downtown, Louisville, Kentucky and located at 400 West Market Street. 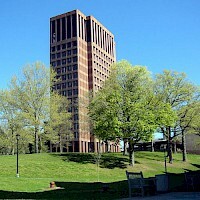 The 35-story, 549-foot (167 m) high structure was designed by architect John Burgee with Philip Johnson and was completed in 1993 at the cost of $100 million (USD). 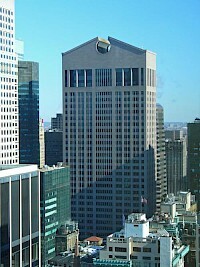 The building, originally named Capital Holding Center, was later renamed Providian Center and is now named AEGON Center. 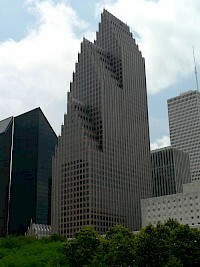 Comerica Bank Tower (formerly Momentum Place, Bank One Center and Chase Center) is a 60-story postmodern skyscraper located at 1717 Main Street in the Main Street District in downtown Dallas, Texas (USA). 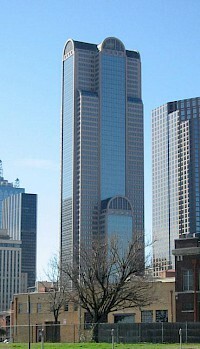 Standing at a structural height of 787 feet (240 m), it is the third tallest skyscraper in the city of Dallas. 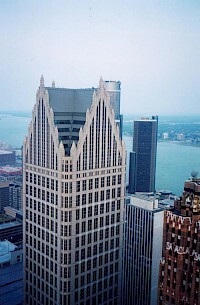 One Detroit Center, also known as Comerica Tower at Detroit Center after its tenant, is a skycraper located downtown in the the city's financial district (500 Woodward Ave. Detroit, Michigan 48226). 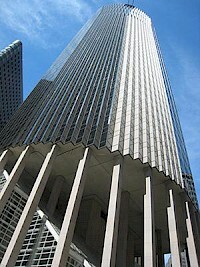 Rising 619 feet (189 m), the 43-story tower is the tallest office building in Michigan, and the second tallest overall in the state behind the central hotel tower of the Renaissance Center, located a few blocks away.